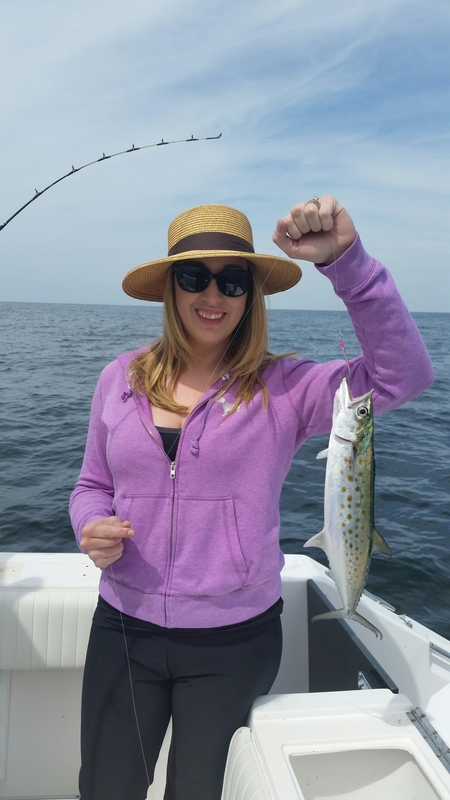 4-28-15 1st Spanish Mackerel of the year caught today. 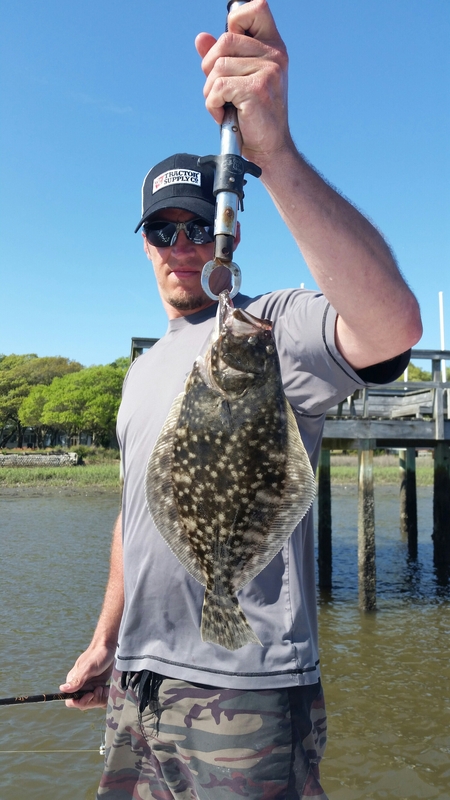 The fishing season has started to get better and better with each day. Today I took some very good repeat clients out for a fun filled day of fishing. 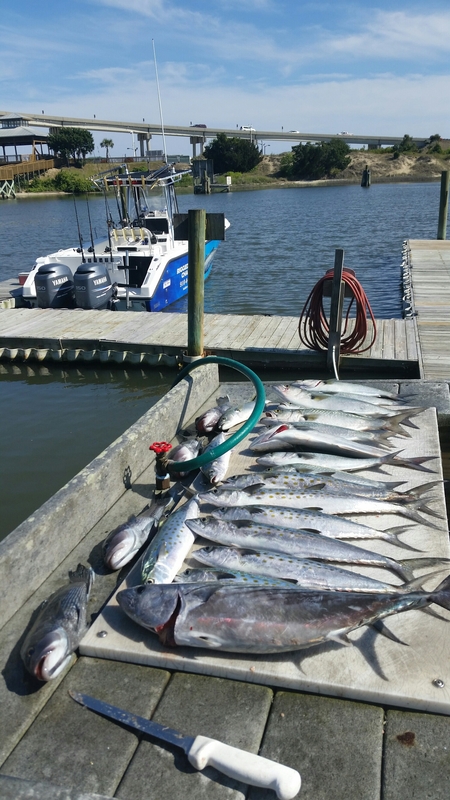 We had intentions on running offshore to find some Kingmackerel and bottom fish but due to the north winds we decided to try our luck near the beach. It was a success. 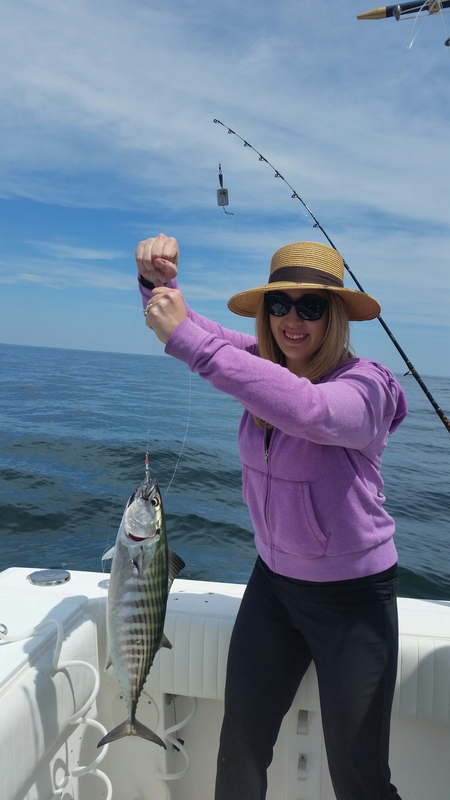 We landed the first Spanish Mackerel of the year and ended the day with 23 fish in the cooler. We had a mix of Atlantic Bonito, Blue fish, and Spanish Mackerel. Also saw some big schools of poggies which is our staple bait fish. This is great because the King Mackerel and Cobia normally show up like clock work around Mother’s day. We are booking up fast. 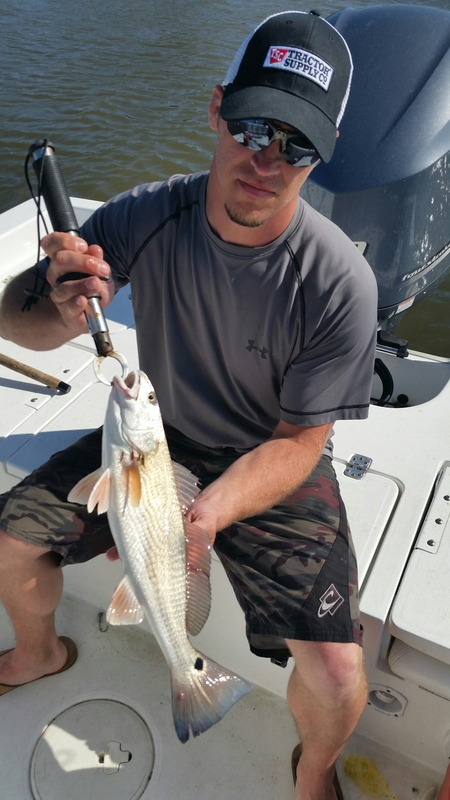 So please if you want a great fishing trip call me today and reserve your spot. 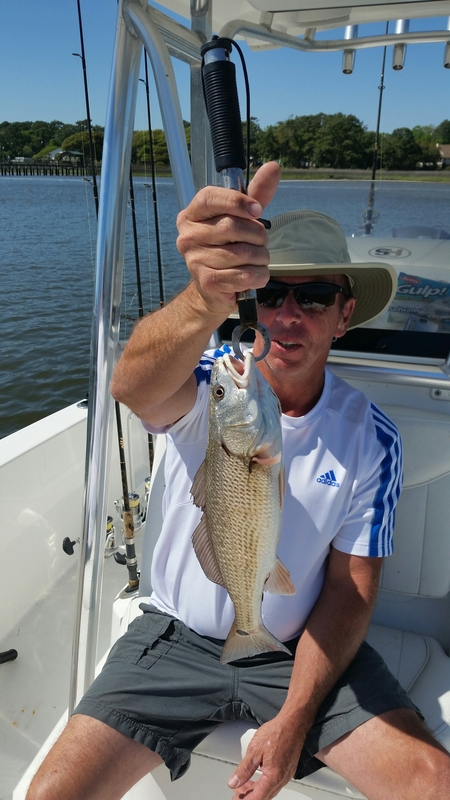 We have 3 boats to accommodate you and any type fishing you may have on your bucket list.